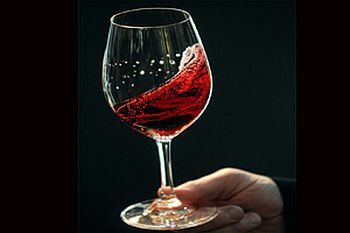 Red wine prevents heart attack,hearing loss! Red wine was considered heart healthy for long.Many chemists across the world had confirmed that the alcohol and certain substances in red wine called antioxidants may help prevent heart disease by increasing levels of “good” cholesterol and protecting against artery damage. While the news about red wine might sound great if you enjoy a glass of red wine with your evening meal, doctors are wary of encouraging anyone to start drinking alcohol. That’s because too much alcohol can have many harmful effects on your body. Still, many doctors agree that something in red wine appears to help your heart. It’s possible that antioxidants, such as flavonoids or a substance called resveratrol, have heart-healthy benefits. “Resveratrol is a very powerful chemical that seems to protect against the body’s inflammatory process, as it relates to ageing, cognition (brain function) and hearing loss.” . “Hearing loss affects half of people over the age of 60, but many begin to suffer problems in their 40s or 50s. It usually sets in with the death of tiny ‘hair’ cells in the inner ear as a result of ageing”, according to the Daily Mail. Page rendered in 0.0742 seconds.